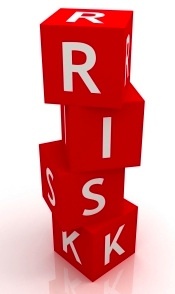 What Are the Greatest Risks? In the midst of all the research and analysis put forth by virtually every entity within the financial services industry, I VERY rarely see any mention of what I deem to be the two greatest risks that individual investors face each and every day. We are fed and can read volumes about a wide array of risks, including market risk, interest rate risk, credit risk, currency risk, prepayment risk, volatility risk, and liquidity risk. While overwhelmed by analysis on these risks, my ‘sense on cents‘ leads me to focus primarily on the two greatest risks of all. Is Egypt the Threshold of a New World? Is the ongoing political firestorm in Egypt an individual event or part of a larger movement? Can the Egyptian turmoil be contained or might it spread to other nations in the Middle East? Are we witnessing the civil unrest of a disenfranchised populace or something truly much larger than that? Sense on Cents is all about helping people understand risk. Would you know risk if and when you see it? How would you handle risk? Are there enormous hidden risks in the markets and economy today? 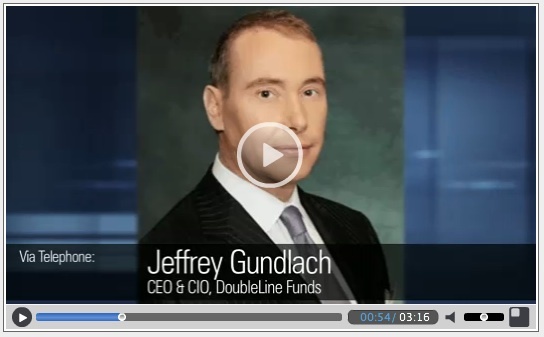 Jeff Gundlach, CEO and CIO of Doubleline, is an expert on assessing and managing risk. Thanks to a loyal Sense on Cents reader for sharing video clips from discussions Jeff Gundlach recently had with Morningstar’s Jason Stipp. I guarantee you in the course of ten minutes and in reviewing four clips (European crisis, deflation, credit spreads, too big to fail asset managers) of Jeff Gundlach, you will be more well informed and prepared to effectively navigate the economic landscape. 1. DoubleLine CEO, CIO, and portfolio manager Jeffrey Gundlach says the European debt crisis is not close to being 50% priced into the market yet. Thanks again to Bud for sharing these clips of the top fixed income manager in the markets today, Doubleline’s Jeff Gundlach. Please subscribe to all my work via e-mail, an RSS feed, on Twitter or Facebook!! Thanks!! Markets remain volatile and skittish. Why? Our global economy along with our domestic economy remain under the pressure of massive debts and deficits across the sovereign, corporate, and consumer spectrum. Global governments can not prop economies and markets forever, try as they might. Can 2010 successfully transition from these total government supported and propped markets to a hoped for return to private enterprise with private capital? This week brought us more ups and downs in the markets as the economy overall searches for its footing. We remain a long way from being out of the woods. Pack lightly and lets navigate. Might we turn the clock back in an attempt to make our way forward? How so? Pressure is certainly building in America to curtail, if not derail, the excessive risks embedded in our largest banks. How may these risks be unwound? Reinstating the Glass-Steagall Act, which separated commercial and investment banking activities. If this Act were to be reinstated, that would be the end of the mega-banks (Citi, JP Morgan, Bank of America, Wells Fargo) as we know them. Who has been harping on this? Former Fed Chair Paul Volcker. Although Wall Street and Washington turn a deaf ear to Volcker, America listens to him intently. Ignorance of the law is never an acceptable defense on Main Street; regrettably, the same does not seem to hold true on Wall Street. How so? A complaint brought by an auction-rate securities investor offers insight into the plight of those stranded in the instruments as well as the arbitration process some investors dread. Like many investors, Gene McCutchin, a real-estate entrepreneur, was holding auction-rate securities when the $330 billion market froze up in early 2008. He filed a complaint against his broker, Raymond James Financial Services Inc., in September 2008 asserting negligence, fraud and breach of fiduciary duty, among other things. He said the brokerage failed to warn him about the risks before his purchase, and he asked for compensation and punitive damages. A Financial Industry Regulatory Authority arbitration panel, in an Oct. 26 resolution, didn’t award damages or order that the share sale be rescinded. It supported some of McCutchin’s assertions, finding that a Raymond James broker, Rick Woolfolk, “was poorly trained with respect to the ARS product,” and it did order the brokerage to pay forum costs. But the panel also said that McCutchin identified himself as “a sophisticated investor.” While McCutchin wasn’t informed about the extent of risk before the transaction, it was clear that his personal adviser, Dan Chilton, understood that he was buying ARS bonds, and that the higher returns they offered came with higher risk, the panel’s resolution said. Let’s zero in on the phrase, “wasn’t informed about the extent of the risk before the transaction.” The fact that the FINRA arbitration panel is absolving Raymond James in this transaction, despite the fact that the customer was not informed of all the risks, should send chills down the spine of every investor in our public markets. With that statement, the arbitration panel is sending a message, loud and clear: “Buyer Beware! !” You are on your own. How is it that an individual with untold hundreds of millions of dollars in wealth could put himself in a position of risking it all? Welcome to the world of Raj Rajaratnam, the owner of the hedge fund Galleon and the major kingpin arrested in the most recent insider trading scandal to rock Wall Street. He was born in Sri Lanka, attended S. Thomas’ Preparatory School, Kollupitiya, then moved to England to complete his schooling, and studied engineering at the University of Sussex. Rajaratnam earned an MBA from Wharton in 1983. He is married with three children. Rajaratnam, a Tamil self-made billionaire hedge fund manager, is the 236th richest American according to Forbes (2009), with an estimated net worth of $1.8 billion. The hedge fund manager started his career as an analyst at the investment banking boutique Needham & Co., where his focus was on electronics. In 1991, he became the President of the bank at the age of 34. At the company’s behest, he started a hedge fund, Needham Emerging Growth Partnership in March 1992, which he later bought and renamed ‘Galleon’. Initially invested in technology stocks and healthcare companies, he says his best ideas come from frequent visits with companies and conversations with executives who invest in his fund. How does one verify representations for an industry that has traditionally been anything but transparent? Serious due diligence. Why should individuals be extremely cautious prior to investing in a hedge fund? The lack of transparency and the challenge of being able to employ real due diligence. To that end, the hedge fund industry has largely operated on a trust basis and marketing which employs a lot of ‘word of mouth’ introductions. Against that backdrop, this corner of the investing universe is exceptionally challenging. Without the ability to truly verify assertions made and returns generated by hedge funds, investors in hedge funds allocate capital with greater risk. In spite of these risks, the hedge fund industry has amazingly been able to operate under a fee structure in which investors annually pay 2% of assets and 20% of profits. I know plenty of individuals who work at hedge funds. As with any undertaking, it would be irresponsible of me or anybody to impugn an entire industry. That said, I have always thought the lack of transparency and lack in the ability to truly verify investing styles and returns as being a significant reason not to invest. Stephen Brown is the David S. Loeb Professor of Finance at New York University Stern School of Business; William Goetzmann is the Edwin J. Beinecke Professor of Finance and Management, Yale School of Management; Bing Liang is Professor of Finance, Isenberg School of Management, University of Massachusetts; Christopher Schwarz is Assistant Professor of Finance at the University of California at Irvine. We thank Bob Krause, Hossein Kazemi, and Andrew Lo for helpful comments. 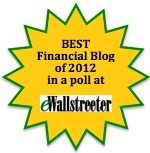 We are grateful to HedgeFundDueDiligence.com for providing their data for this research (http://www.hedgefundduediligence.com/). What did this extensive research report highlight? Due to imperfect transparency and costly auditing, trust is an essential component of financial intermediation. 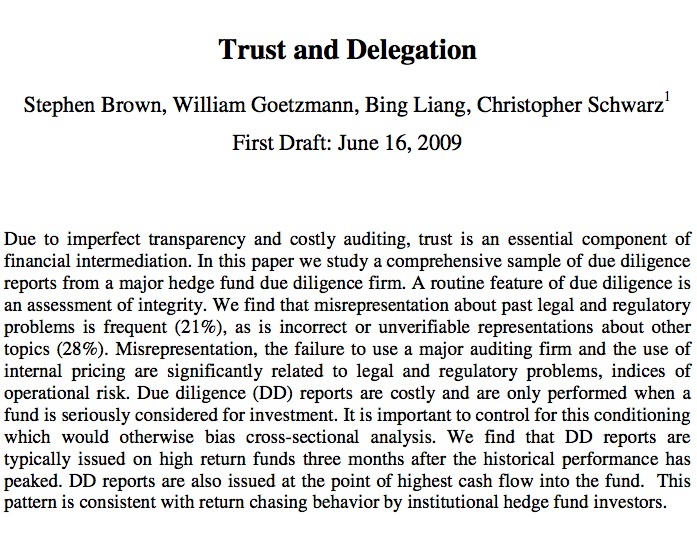 In this paper we study a comprehensive sample of due diligence reports from a major hedge fund due diligence firm. A routine feature of due diligence is an assessment of integrity. We find that misrepresentation about past legal and regulatory problems is frequent (21%), as is incorrect or unverifiable representations about other topics (28%). Misrepresentation, the failure to use a major auditing firm and the use of internal pricing are significantly related to legal and regulatory problems, indices of operational risk. 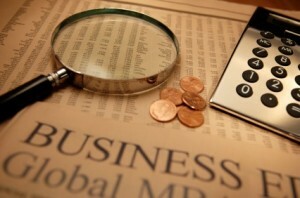 Due diligence (DD) reports are costly and are only performed when a fund is seriously considered for investment. It is important to control for this conditioning which would otherwise bias cross-sectional analysis. We find that DD reports are typically issued on high return funds three months after the historical performance has peaked. DD reports are also issued at the point of highest cash flow into the fund. This pattern is consistent with return chasing behavior by institutional hedge fund investors. Wow. Misrepresentations have occurred in 21% to 28% of the hundreds of hedge funds studied. Honestly, I am not surprised. If hedge fund managers lie about one part of their business, do you think it is all that difficult to lie and misrepresent returns, investment valuations, and other critical parts of their business? The inability to verify returns is always an opportunity for a hedge fund manager to fudge those returns when the numbers are not good. Have you given up on the market? Do you not trust the financial industry? Have you stuffed your money under the mattress? To an ever increasing extent, more and more Americans have become more risk averse when it comes to investing. Americans will be investing significantly less in the future, according to a new survey released today by AlixPartners LLP, the global business advisory firm, indicating that the financial crisis is likely to have a significant impact on investor behavior over the next several years. While the U.S. financial services industry is slowly recovering from its biggest losses in decades, investor confidence appears to be recuperating tepidly at best. A staggering 49% of people surveyed who identified themselves as “previous investors” reported either having stopped or reduced investing in stocks or mutual funds and 26% said they had no intention of investing in these bedrock financial vehicles in the next three years. The survey also found that among higher-income households, those earning more than $75,000 per annum, 21% of previous investors reported having stopped investing altogether in stocks or mutual funds. These results could point to a significant structural contraction in the market for financial services firms and financial advisors, while also suggesting that financial companies should be thinking about how to better focus their marketing dollars in today’s uncertain market. 1. Learn about risk: how to measure risk, how to identify risk, what are the risks in different investments. 2. Learn about the values of diversity across asset classes and regions. 3. Learn about the impact of policy implemented in Washington and the influence it has on Wall Street specifically and finance and investing in general. 4. Learn about the differences in fundamentals and technicals. How do you start to undertake the above four steps? 5. Read Sense on Cents. Don’t necessarily give up on investing. Get started on educating yourself. One of the overriding reasons why I left First Boston in 1990 to join Bear Stearns was Bear’s advanced real-time risk management system. This system allowed me the ability to more proactively manage my trading risk. In the process, I was able to take more risk in the pursuit of greater profit. I became familiar with Bear’s system during the recruiting and interviewing process and was flabbergasted to realize how far behind First Boston was in its capabilities. Real-time risk management and real-time data processing are critically important for thorough and proper oversight of any financial enterprise. A regulator will be lost in an attempt to maintain market oversight without the proper systems and access to real-time data. Having heard and read of the systems deficiencies at both the SEC and FINRA, I am concerned at how far behind the curve these regulators are right now and how long it will take for them to recover. There is little to no transparency in the world of customized derivatives and as a result the bid-ask spreads are very wide. Cha-ching, cha-ching. 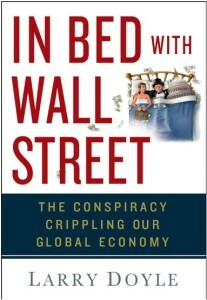 Jamie (Dimon) and his friends on Wall Street are working extremely hard to keep it this way. In their defense, it is likely not functionally feasible to move many customized derivatives to an exchange. What should regulators compel them to do? JP Morgan and every other financial firm on Wall Street should have to report every derivatives transaction to a system known as TRACE, which stands for Trade Reporting and Compliance Engine. This system currently only covers transactions within the cash markets and not derivatives. What does that mean for investors? No transparency and price discovery for investors in the customized derivatives space. As such, Jamie and friends can keep those bid-ask spreads nice and wide and ring up huge profits in the process. The Securities and Exchange Commission told Congress today to grant regulators “direct access to real-time data” on credit default swaps (CDS) and other derivatives. The request comes, the agency said, because the lack of such information hampered its efforts to investigate potential fraud and market manipulation in the over-the-counter (OTC) derivatives markets during last fall’s financial crisis. What do we learn here? Information is EVERYTHING!! Wall Street is fighting tooth and nail to protect its golden goose within the derivatives space by hoarding this information. Why is the SEC even asking for the information? If anybody in Washington truly had a set of cojones, they would merely TELL Wall Street how it is going to work going forward . . . take the information, and fulfill their responsibility to protect the public interest.